Kent Healthwatch, county wheelchair users and disability forums and county councillors, including Thanet representatives Karen Constantine and Lesley Game, are demanding that a contract managed by Thanet Clinical Commissioning Group for wheelchair provider Millbrook Healthcare is axed. NHS Thanet Clinical Commissioning Group (CCG) looks after the contract on behalf of the eight CCGs across Kent and Medway. Millbrook Healthcare is tasked with providing NHS funded wheelchairs for children and adults in Kent and Medway with long-term needs of six months or more. But the service has been slammed for a backlog which has resulted in some 330 people waiting over a year for a wheelchair and, as of March 2018, 251 children and 999 adults waiting for more than 18 weeks for assessment, repairs or provision of equipment. 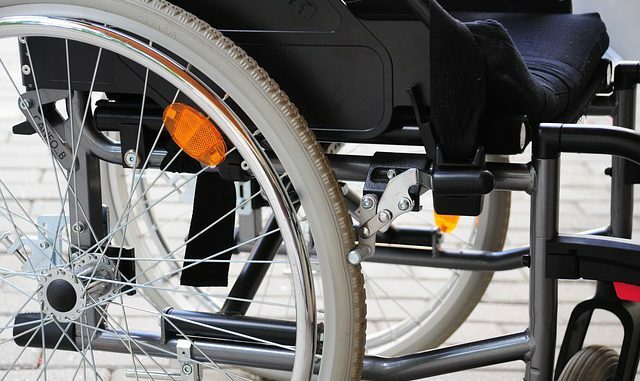 Millbrook Healthcare took on the contract in April 2017 and both the company and Thanet CCG say a backlog was inherited of long waiters and a much higher proportion of patients requiring powered and specialist wheelchairs than had been expected during the procurement. Thanet CCG say that following an audit it has been recognised that in order to resolve this, additional funds will need to be provided to Millbrook Healthcare with an amount agreement expected by the end of the month. 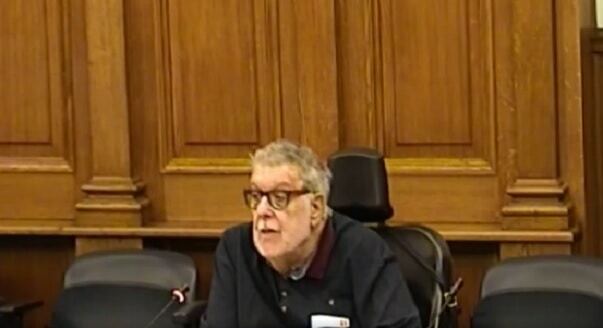 But Professor Mike Oliver, speaking on behalf county wheelchair user and disability forums and Kent Healthwatch, said the service was “the worst it has ever been” in his 56 years experience of being a wheelchair user and over 20 years background working with health care providers. He said: “We believe there is no alternative but to remove the contract from Millbrook. Professor Oliver said hospitals were running out of their own chairs because they had to provide them to patients failed by Millbrook in order to prevent hospital bed blocking. He also claimed that harassment, bullying, threatening behaviour and even assault had been reported in regards to the company. 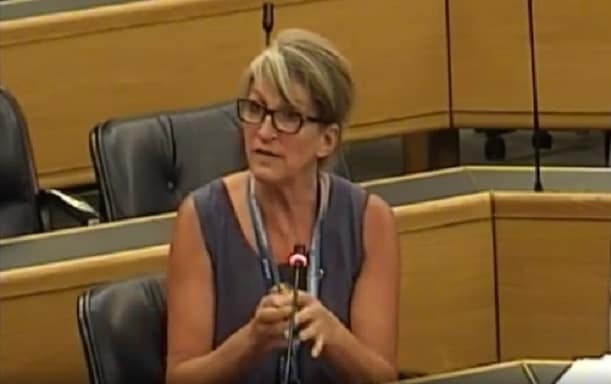 Alisa Ogilvie, from Thanet CCG, apologised for the experience suffered by service users and admitted the waiting times were ‘unacceptable’ but said the CCG had not considered terminating the contract. She said the inherited backlog and high volume of specialist chairs required had impacted on the service. Councillor Constantine was one of several members who called for the contract to be terminated. She added: “This is a prime example of how outsourcing in the NHH puts profit before people. I think it is shameful. Speaking after the meeting, she added: “The commissioners are not listening to the pain, distress and discomfort of the service users. Her call was echoed by Councillor Game who questioned why the contract had not been monitored more closely and suggested if it couldn’t be axed then a body other than the CCG should manage it. 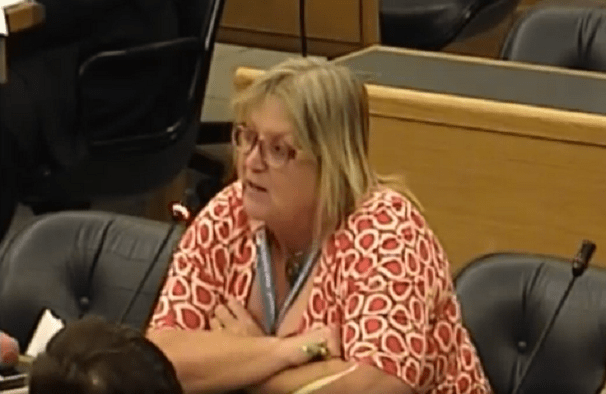 Members of the health scrutiny board have asked Thanet CCG to return in two weeks with a report outlining the contract details, consideration of termination and an action plan. A letter expressing the committee’s ‘grave concerns’ will be sent to all the CCGs. A spokesperson from NHS Thanet Clinical Commissioning Group and Millbrook Healthcare said: “NHS Thanet Clinical Commissioning Group (CCG), on behalf of the eight CCGs across Kent and Medway, has been working with Millbrook Healthcare to understand the current situation in relation to the inherited backlog and delays in equipment and repairs taking place. “Following an independent audit commissioned by the CCGs, we are now in a position to understand the full scale of the issues, which we are working on in conjunction with Millbrook Healthcare. Both the CCGs and Millbrook Healthcare are taking this situation very seriously and we apologise for the time it has taken to get to this point however, it has been necessary given the issues presented. “The CCGs recognise the impact that the inherited backlog has had on the service, and that this has caused additional cost pressures. Once the additional funding has been agreed the CCGs are committed to releasing the funds to help Millbrook Healthcare clear the backlog. “The additional funding will be linked to a plan with clear timelines for issuing equipment and repairs for those patients who have been waiting for 18-weeks or more, with those who have been waiting for longer than a year being prioritised. This is what happens when you outsource contracts in the NHS. As Professor Mike Oliver says ‘the worst experience in 56 years’. You simply cannot put profit before people. The Conservative’s are crying crocodile tears. It is their own Governments policies that they are implementing. I was TUPE over to Millbrook. I am a rehabilitation engineer who used to work for Kings College NHS foundation trust. I am very happy I’ll be leaving Millbrook back to nhs in a week time because I don’t want to lose my registration or possibly go to prison as I am the only technical competence person in Ashford. I believe Millbrook cannot perform or provide good service to our dear clients who had already lost at least 65% of their lives to disabilities. The management is full of lies. They are after money they could made from vulnerable people. Bad equipment – unsafe ultimate wheelchairs, bad services and some non qualified staffs. When at Kings, we were 7 qualified and registered rehabilitation engineers including our head of department before the so call TUPE. 2 of us were tupe over for clients of over 30000. The don’t worry about this because it save them money. All their managers know nothing about the wheelchair services. The director of wheelchair service is a nurse by profession not even rehabilitation nurse and she is number 1 lier have ever met in my life. They don’t treat staffs well, lots of pressure on the staffs especially REs. Before tupe, she promised we’ll going to have satellite centres but that is not happening and it is not going to happen. Vulnerable clients are forced to travel about 100miles to attend clinic in Ashford or Gillingham. No more DVs as they are saving money on fuel. No more special school’s clinics which is a standard service for nhs. A lot of incidents had happened to clients due to equipment-not- fit for purpose. All ultimate wheelchairs whether power or manual have max user weight of 150kg on them whereas they cannot carry 120kg. Examples are 1. A velocity thrown a client off the chair, this person was on the floor underneath the chair for good 4 hrs before he was rescued by his wife, to this company that was not an incident. 2. Another client’s gravity wheels and frame buckled on the street, this person weighs 125kg. I wanted to report the incidents to MHRA but i was prevented from doing so, I quarantined but the chair was removed from Ashford to Southampton without my knowledge. Another example was a man with profound disability who also has a partner with complex disability.i was about to go to carry out visit to the man house for a job of less than 30mins. This person lives 1.5 miles from where I live,my route to and fro work. I was nearly crucified for this as the therapist lead claimed I am wasting their money. I will have to bring the person to clinic in Ashford, return journey of 70miles. They believe wheelchair service is another business like refurbishing No 10 Downing Street and other businesses. They have advertised for my job for band 5/6. A lot of Rehabilitation engineers are band 6 and not band 5. They are going to employ another useless non competence person for the job. I’m in their good book because I don’t compromise the safety of my clients with their business thing. Their statement is always ‘we are in business. This company is too luck that they have not kill any client yet due to the use of those useless equipment, but if things continue in this way May God help the service users. We need to review ALL these outsourced contracts , not just in the NHS, but in all the other publically-owned services eg catering in schools, maintenance of Council/Housing Association properties or the bin collections. For too long, private Corporations have been treating the tax-payers like slot machines. They charge the earth for doing what the council always used to do, then cream a few million quid off the top for the Managing Director and his main shareholders, pausing only to tell the workforce that they can’t afford a pay rise again this year, before moving on to tell the public that, regretfully, their costs are going up so could they pay more rates and taxes but to expect a lower level of service in future. We voted for this!! Words like “Turkeys” , “voting” and “Christmas” come to mind.